The food, beverage, and supplement industries face big changes over the next few years. Automation is moving from the manufacturing plant to retail storefronts. Plant-based foods are breaking into the mainstream. While consumers are increasingly clamoring for CBD-infused products, whether it’s a sports drink or dietary supplements. 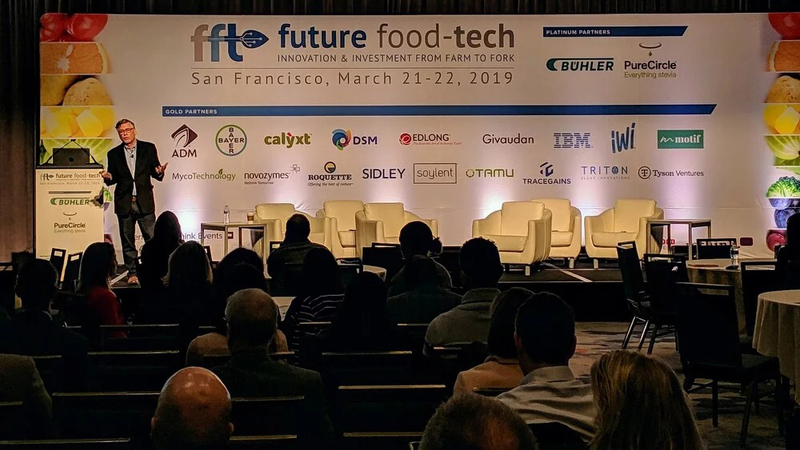 Staying on top of these seismic shifts in production and consumer demand is what drives attendance to conferences like Future Food-Tech Summit in San Francisco. The international event, held annually in four different locations, draws food brands, entrepreneurs and investors to discuss solutions, share ideas, and forge new alliances. Last week, TraceGains attended, presented, and exhibited at Future Food-Tech Summit. Here are some key insights and a few zingers. D’Anne Hayman, VP of Global Innovation R&D and Nutrition, Kellogg Co.
Brian Loeb, Investor, Continental Grain Co.